I’ve been on a bit of a bag kick lately and I’ve been making all sorts of totes and purses. 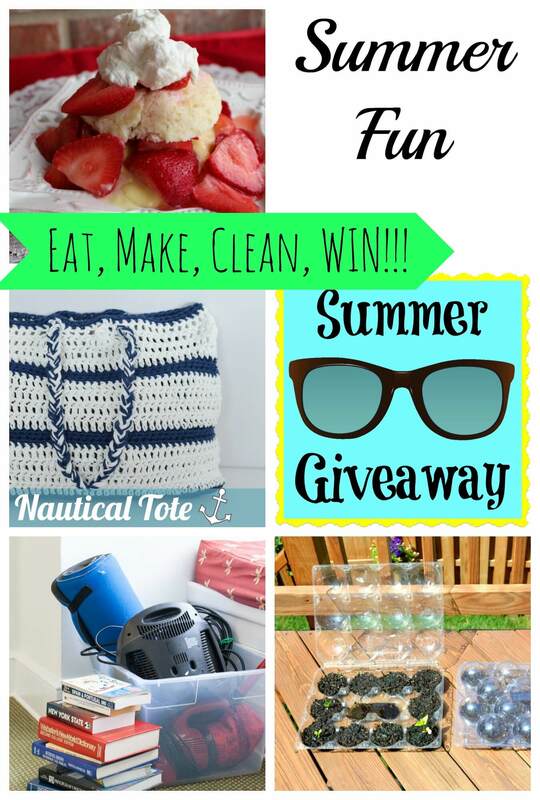 I decided to make this fun Crochet Nautical Tote for the summer, so that I could have a cute bag to take with me when I go out in the city with my friends. I was looking for a cute nautical tote but couldn’t find one that was in my price range so I just made it myself! It’s a really easy pattern and took me about 3 hours to make in total. 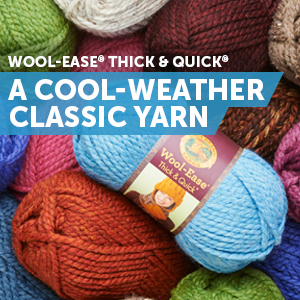 It’s great for any stashed yarn that you may have and would look great in any color combo. I hope you will stop by and check out these awesome posts! Now here is the pattern for my new tote. Happy Crocheting! Now we’re going to turn the rows into a round. Cut 30 strands of yarn (I mixed the two colors) for each side of the handbag (60 strands in total) measuring approximately 40″. You can make them longer or shorter depending on how long you would like your handles. For the first handle, pull your set of 30 strands through one of the ch 1 spaces of round 17. Make a knot to secure the strands to the inside of the handbag. Braid the strands. When you have reached the desired length of your handle, pull the braid through the other ch 1 space on the same side of the bag and knot the bottom. Trim the ends. Repeat for the other side. Love this nautical tote!! Thank you for sharing it with us!! Thank you Erika! I am so glad you like my nautical tote. It’s one of my more popular designs! Hi! i have this pattern, but I have 1 question. Row 1 – is that a foundation Half double stitch or is it single crochet for 40, then turn, change 2, half double stitch in each stitch = row 1? Hi Mindy! As per the pattern, you would chain 43 first and then hdc in the 3rd ch from the hook and each st across to give you a total of 40 sts. There is no foundation hdc. Love this bag!! Thank you for sharing such a cute pattern!! I love this. The purse was super simple to make. I made it but ended up using some old purse handles I had for it and then attached a button and a single crochet loop to use for closure. Thanks for posting this. I am going to make a couple of these for gifts also. I love this tote, its my favorite. Perfect for an early spring morning, dew on the grass, sun warming the earth. Can you tell Im ready for spring. lol. I love the tote. Love the blog. I follow and share. Thank you so much Crystal! I am so ready for Spring myself 🙂 Thank you for following along with me! Love this tote bag. Can’t have enough bags for any occasion. Has to be my favourite. Hi.ve your site. I’m new to crocheting. Id the dc dec and hdc dec the same thing as dc2together to decrease? Thank you. Hi Jamie! A dc dec is the same as dc2tog. A hdc dec is different. Here’s how to do it: [yo, insert hook into next st, yo, pull up a loop, insert hook into next st, yo and pull up another loop, yo, pull through all 5 loops on hook. Hope that helps! I love this bag!! So summer! 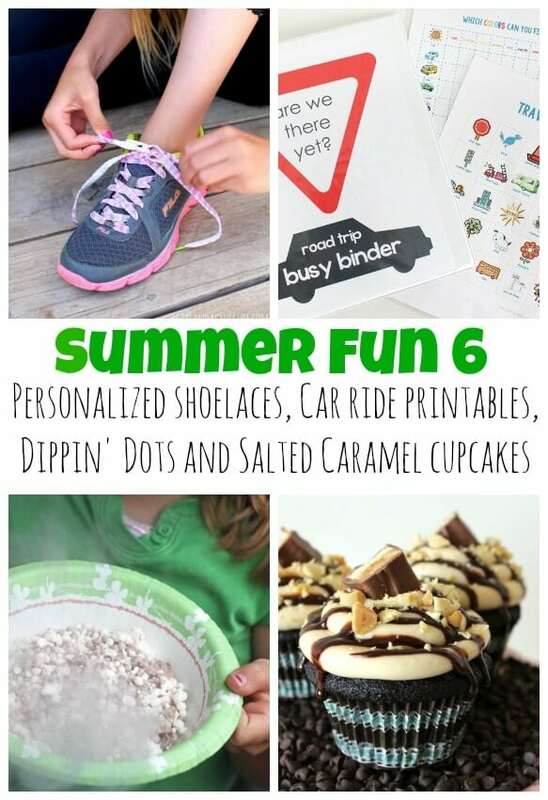 I need a new hand project, so maybe this will be it ;o) Thanks so much for sharing it in the summer fun series!! pinned!